Thank You For Calling - A young woman fights to keep her sanity, her marriage and her hope while working in a call center. The Event - Do the youth decide to go along with the government's plan to rid the population of the elderly, or will they fight back? 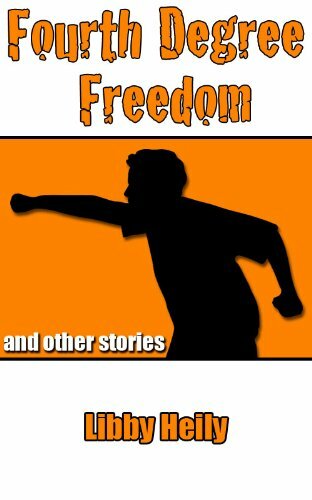 Fourth Degree Freedom - A family, shunned by neighbors and friends, struggles with their youngest son, a boy that was literally born a monster. The Last Six Miles - Samantha has hit rock bottom. Her husband has left her and her only source of comfort is junk food. Her slip into depression seems inevitable until she discovers running. Samantha begins the long journey from barely being able to jog a minute to completing her first marathon. This is a beautiful collection of five short stories, all of which I thought were structured well and completely engaging. Each one is very different and involves a new set of characters in a range of settings; from fantasy worlds to illustrating the struggles of everyday life. All of the stories, including the rather dark and unsettling The Event have an endearing quality which I really enjoyed. My favourite out of the five is The Last Six Miles, purely because I found myself identifying with Samantha in certain respects. But again, they are all wonderfully well-written, and I started wishing to find out how the characters fared afterwards. A very enjoyable and diverse collection. Highly recommended!